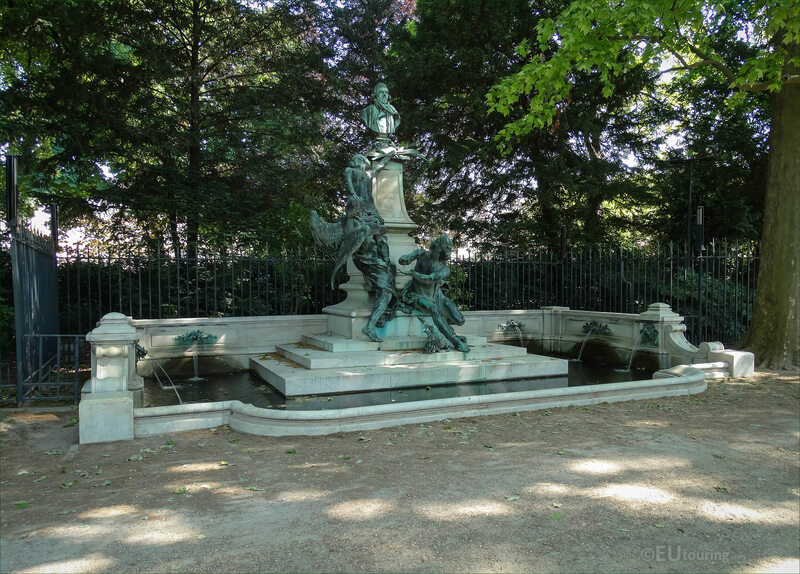 In these high definition photos you can see the Monument to Eugene Delacroix, which is located within the Jardin du Luxembourg and was sculpted by Aime Jules Dalou. 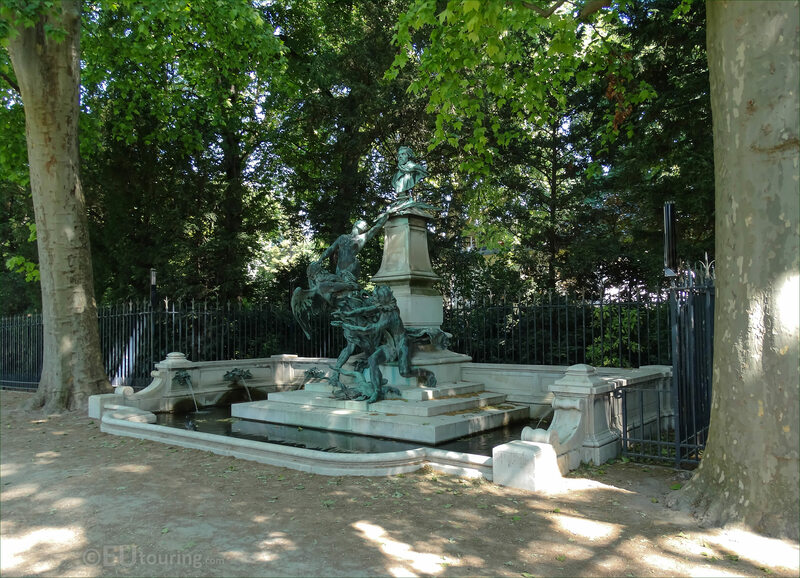 This first HD photo shows the main sculpture which is the Monument to Eugene Delacroix, however, this work is also a water fountain, and therefore it sometimes called the Fontaine Eugene Delacroix. 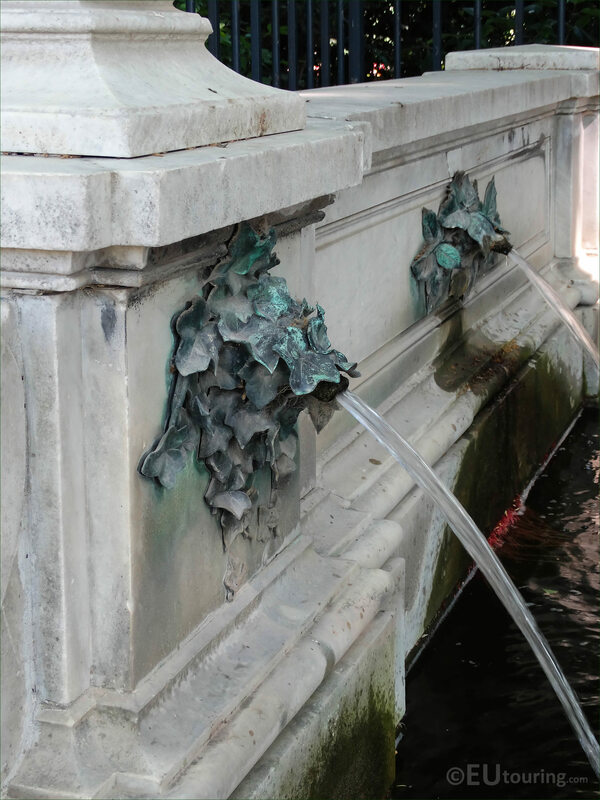 And here you can see the entire fountain with its rectangular base that has six bronze water jets along with the central section, which was constructed in marble with bronze figures along with the bust of Eugene Delacroix. 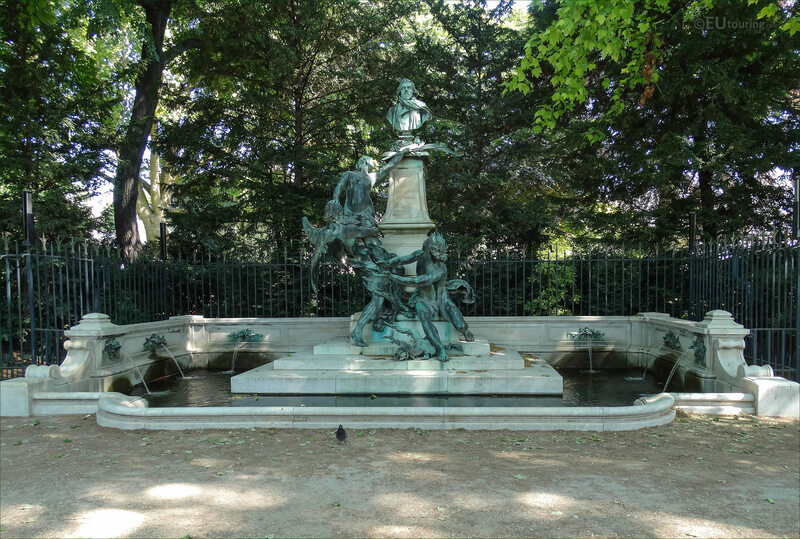 Now this Eugene Delacroix water fountain monument was designed and sculpted by Aime Jules Dalou in recognition of the incredible painter and it was installed within the Jardin du Luxembourg back in 1890. 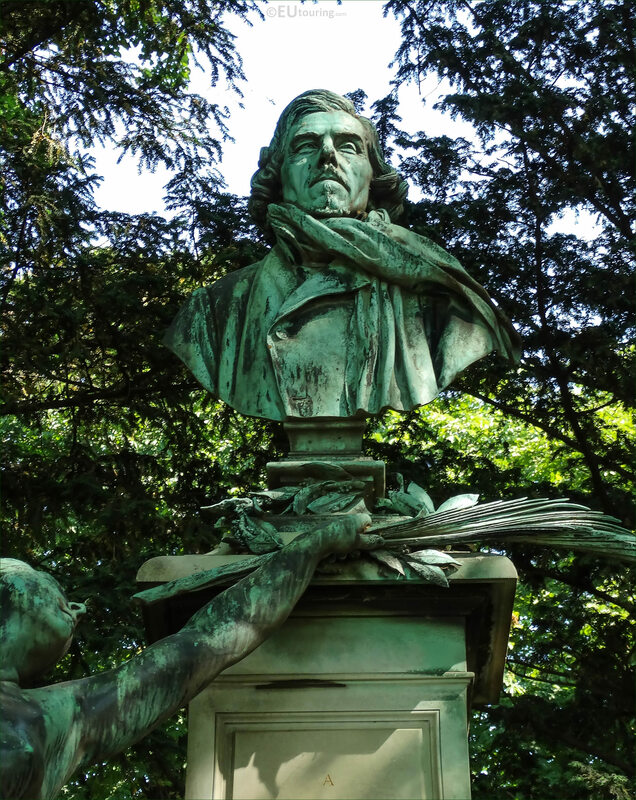 So here is a close up of the bust depicting Ferdinand Victor Eugene Delacroix as a young man wearing a coat and scarf, which was early in his career as a French painter and muralist, having been born in the April of 1798 within the Ile de France region not far from Paris and studying under different artists he won awards for his drawings even whilst in school. 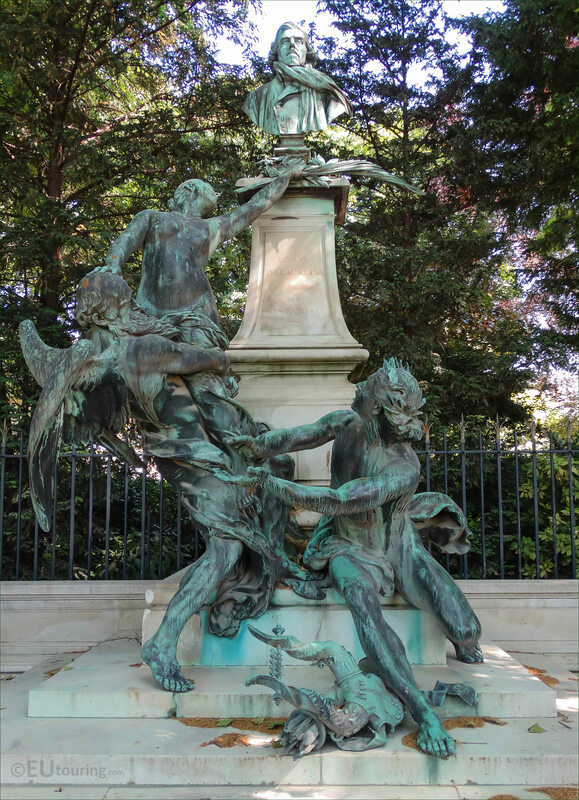 Gaining inspiration from artists such as Rubens and Titian, he is classed as one of the great Romantic artists and producing paintings that hang in tourist attractions such as the Palais du Luxembourg, and Eugene Delacroix is also classed as one of the most distinguished mural painters in the history of French art, which is why on the pedestal you can see here it states Ses Admirateurs that translates to His Admirers in English. 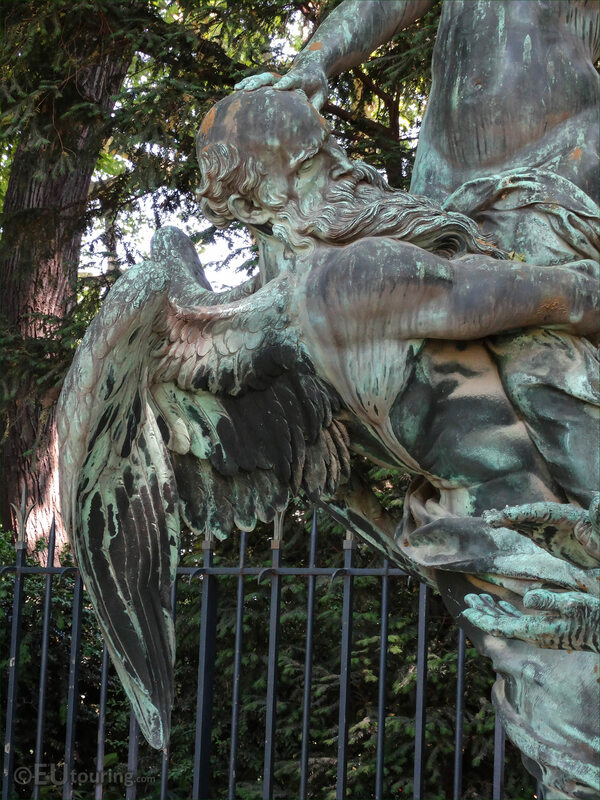 But there are also three mythical allegorical figures that are located on the Monument to Eugene Delacroix, which were all sculpted by Aime Jules Dalou, and this is a close up showing the winged elderly gentleman, which is designed to represent Time who is lifting Glory. 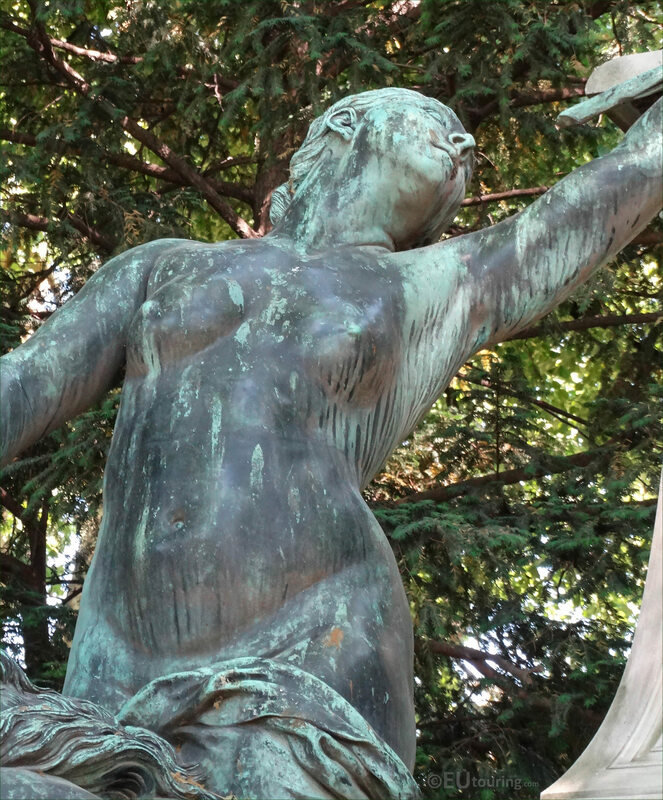 Yet this next close up high definition photo shows the allegory representing Genius of Arts, which is positioned to the right hand side of the Eugene Delacroix water fountain monument, and as you can tell, it looks like this figure is clapping, in other words, applauding. 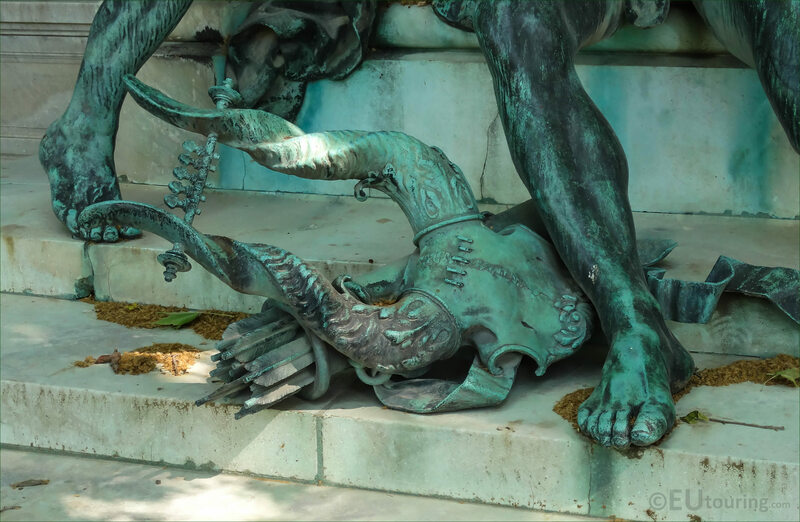 And here is a close up showing the allegorical statue representing Glory, who is being lifted by Time so that she can place flowers and palms down underneath the bronze bust of Eugene Delacroix. 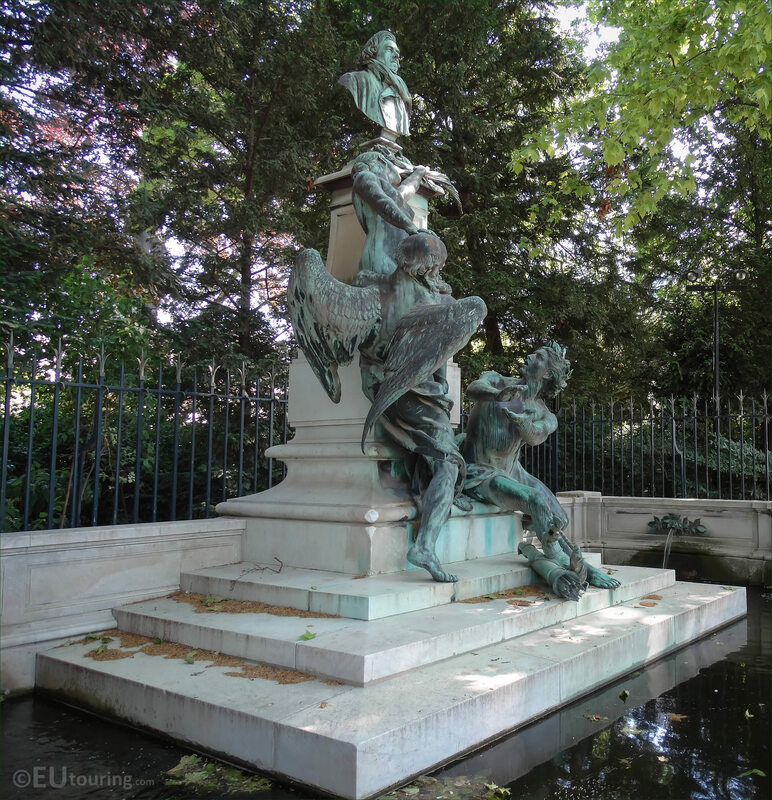 However, you can see here another feature of the Monument to Eugene Delacroix, where Aime Jules Dalous also added armour and weapons in the form of arrows, and these are located right at the base of the statue just above the water basin within the Luxembourg Gardens. 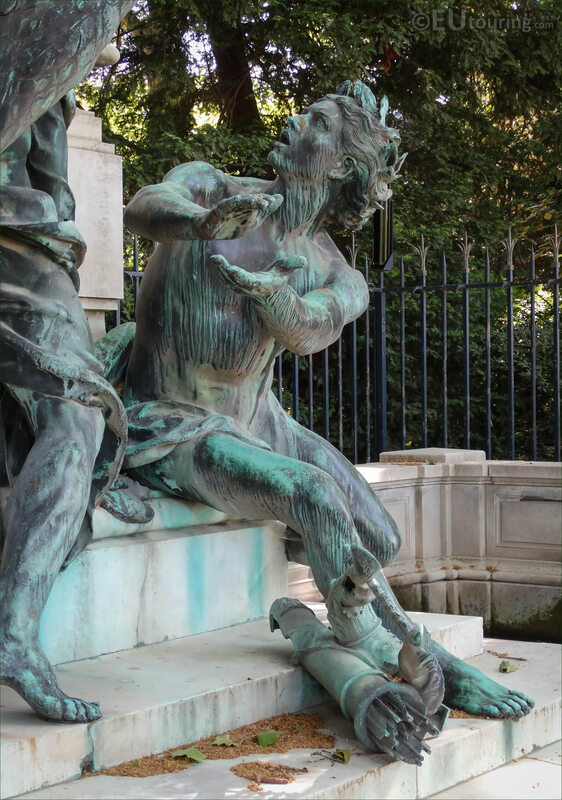 So as we mentioned earlier, this beautiful water fountain and monument was sculpted by Aime Jules Dalou who was born in Paris in 1838 and initially became a pupil of Jean Baptiste Carpeaux studying to become a French sculptor, then entered the Ecole des Beaux Arts under Francois Joseph Duret, first exhibiting at the 1861 Paris Salon. 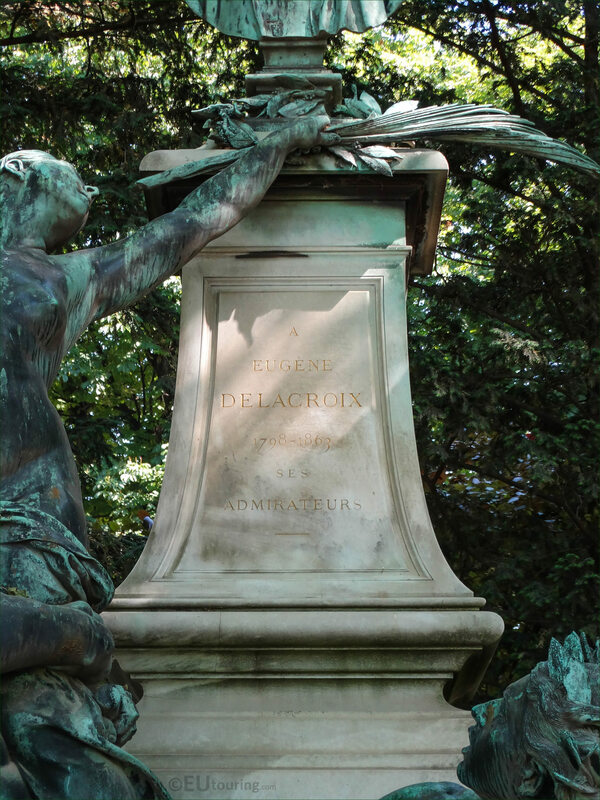 Aime Jules Dalou was at one point in exile in England because of the Paris Commune, but upon his return to France executed many impressive statues and monuments that adorn different tourist attractions in Paris, including this Monument to Eugene Delacroix, which can be found on the north western side of the Jardin du Luxembourg close to the Orangerie and the Musee du Luxembourg.